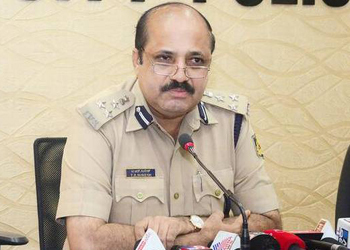 Mangaluru, Nov 24, 2018: Police will deploy personnel from Karnataka State Reserve Police and civil policemen from other parts of the State to maintain law and order during the mega public convention of Vishwa Hindu Parishad at the Nehru Maidan in the city on November 25, Sunday. The VHP and Bajrang Dal have jointly organised the convention to build pressure on the Union government to pass legislation in the winter session of Parliament to resolve the Ayodhya Ram temple issue. The convention in Mangaluru is among the five major programmes planned in the country. Bajrang Dal national convenor Sohan Singh Solanki will be the keynote speaker at the convention here. Police Commissioner T.R. Suresh told media on Nov 23, Friday that the police have permitted the organisers to hold the convention at the Football Ground, abutting the Nehru Maidan. Among the several conditions imposed on the organisers include bar on making speeches that might incite communal hatred. The conditions were conveyed to the organisers during a meeting yesterday, Friday evening. Commissioner Suresh said that the police have earmarked areas in the city where people coming to the convention can park their vehicles. People who are likely to cause trouble have been called to police station and warned.